Earlier this year, I introduced you to this charitable program called “There’s a Monkey in my Chair” founded by the Cure Starts Now foundation. This program helps the children in Isabella’s classroom cope and understand her absences from class, while providing a way for Isabella to stay in touch with the class while she is out. This is one of the organizations where your money can make a difference in the lives of children with cancer. For the next couple of days, you can make a donation to the Cure Starts Now foundation through Groupon and you donation will be matched 100% by Chiquita. 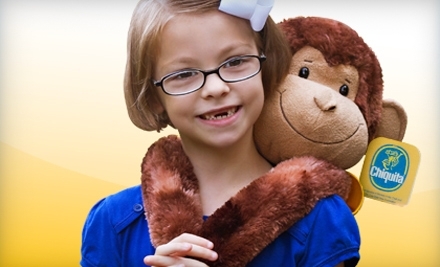 Your donation will go towards providing these monkey kits to sick children all over the country.